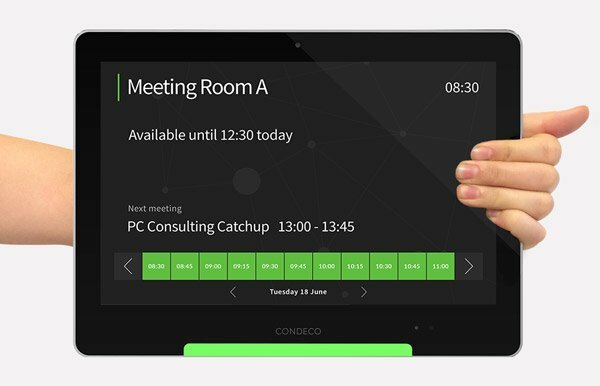 Room booking systems, sometimes known as workplace scheduling software, simply allow you to make better use of valuable meeting rooms or hot desks & avoid underutilisation. If you need to manage multiple meeting rooms within one building, or multiple buildings all over the world, then a room booking system will make your life easier. A room booking system makes it simple to find and book a free room whilst avoiding annoying booking conflicts, but at the same time still be able to make quick changes and allow everyone to see exactly what is happening. Room booking systems typically comprise of both a hardware and software element. 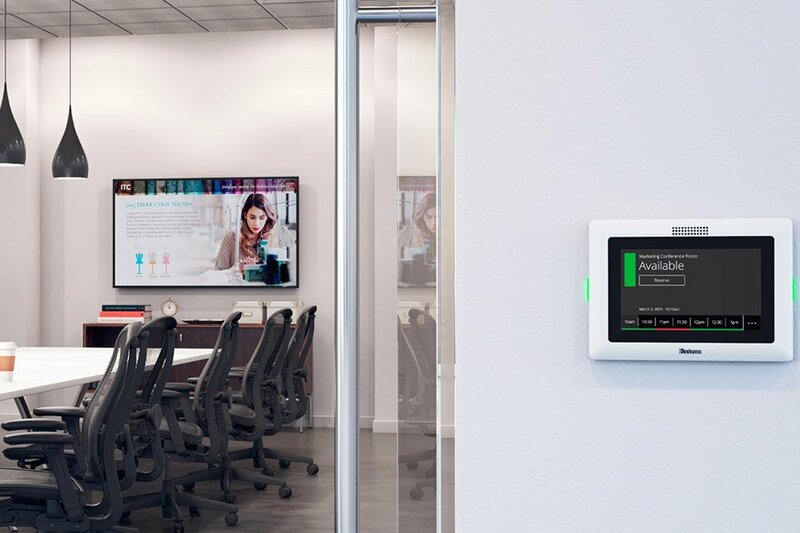 The hardware will usually involve a small wall mounted screen positioned outside each meeting room which usually shows the room name & its current status; free, in use or booked etc. You can also book rooms directly from these screens on the fly and options are available to integrate with RFID cards to allow users to check in to the room upon arrival or automatically free up a room in the event of a no show. These small screens can also be used as a digital signage displays to show picture, video and news content in order to improve corporate communication. 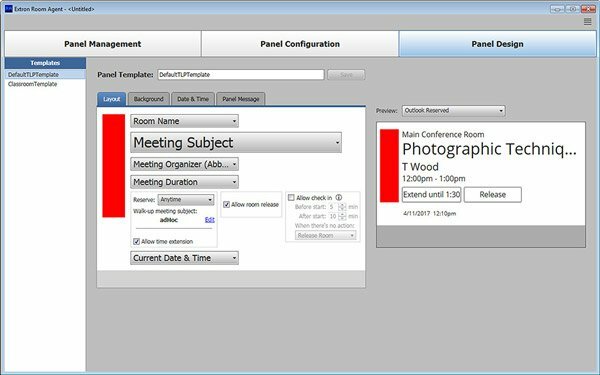 Room booking software will typically involve a user interface that integrates with your own IT systems so that you can manage rooms from within your existing calendar software such as Outlook & Google Calendar. From here you can find a free room, book it and invite meeting attendees, you can also book catering or IT services so that support staff know what to prepare in advance. 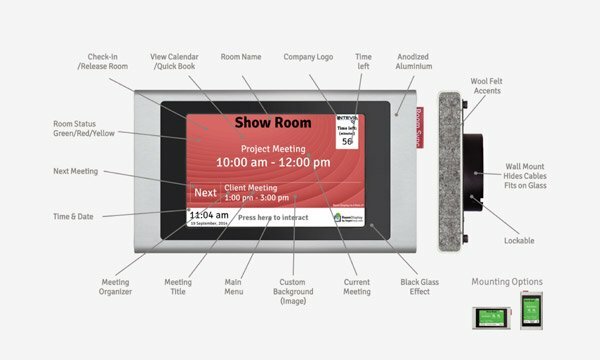 Attendees can then view the meeting in their normal calendars and see who is going, where it is and if they are unfamiliar with the location they can also easily find the room when they arrive via wayfinding software. If your business needs a better way to manage hot desks then specialist desk booking software will easily allow your staff to book individual desks directly from an interactive floorplan at any of your office locations, they can even see other team members and choose to sit next to them etc. Users can then manage their desk bookings using a mobile app and make changes on the move when necessary. 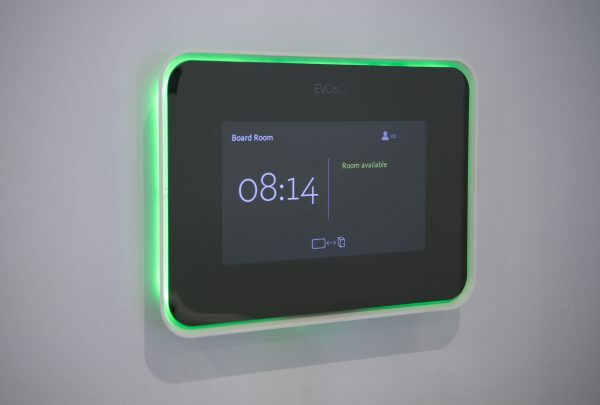 Both room booking & hot desk booking systems generate valuable usage reports and can even be combines with occupancy sensors enabling facilities staff to better understand how rooms & desks are being used in order to plan for the future and avoid underutilisation.